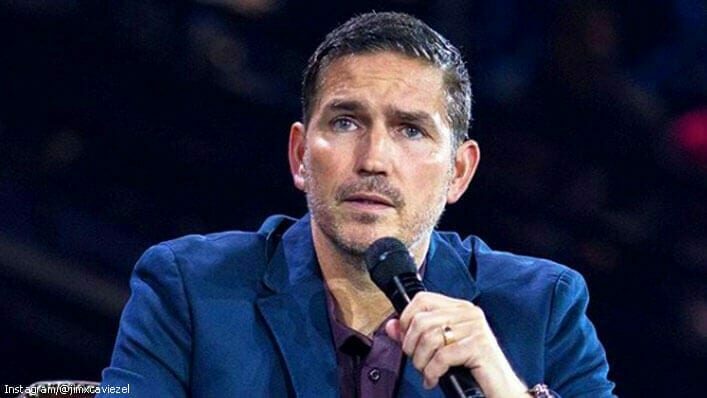 Not many actors have the privilege of playing an apostle and the Son of God (twice) in major Hollywood films, but Jim Caviezel is on track to do just that. With the huge box-office success of “The Passion of the Christ” that raked in $611 million globally, fans are on the edges of their seats anticipating the release of its sequel as well as the film “Paul, Apostle of Christ,” in which Caviezel stars as the apostle Luke. In a Facebook Live with Faithwire earlier this week, the actor opened up about what it’s like playing such huge roles as well navigating the Hollywood scene as a Christian. “It’s a huge responsibility,” Caviezel says of taking on the role of iconic biblical figures. He explained that an added challenge with producing faith-based films is maintaining a high-production quality as well as biblical accuracy. The Jesus actor also opened up about how living an obedient lifestyle and “warring against [his] own flesh” prior to his fame helped him to navigate the Hollywood scene with humility. He shared that it’s been challenging to turn down some of the lucrative roles he’s been offered that would compromise his values, but the payoff has been more than worth it. The actor actually called turning down the roles “common sense,” as the risk is simply not worth the reward. Actor Jim Caviezel discusses faith, life, Hollywood and his new biblical epic!